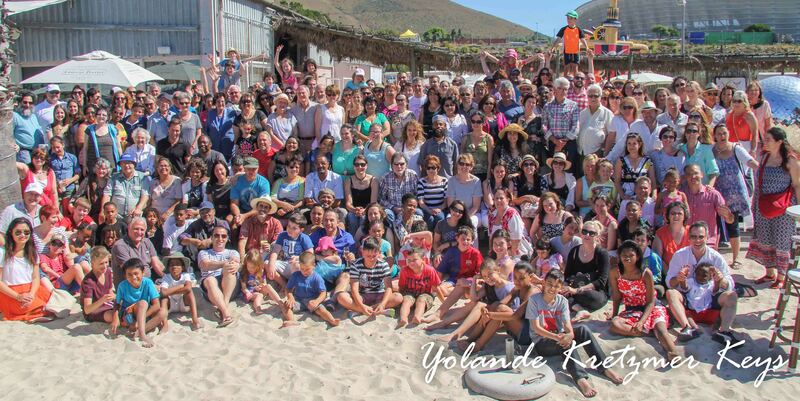 Sunday 19 October saw over 300 people gathering at the Grand Cafe and Beach near the Waterfront in Cape Town to enjoy this special event as we commemorated 70 years of Progressive Judaism in Cape Town. The beautiful venue and Spring weather ensured that all who attended were able to kick off their shoes, relax and enjoy the wonderful food and drink on offer. With entertainment provided by Gabriel Shai as well as a musical interlude from our newly formed Shira Chadasha choir, a dâ€™var torah from Rabbi Greg and a speech marking the congregationâ€™s achievements by our President Roy Fine, the afternoon was brought to a close by the drawing of the prizes in our raffle drawby Rabbi Malcolm. Mazel tov to all the prize winners and a huge thank you to all who contributed to the success of the day.